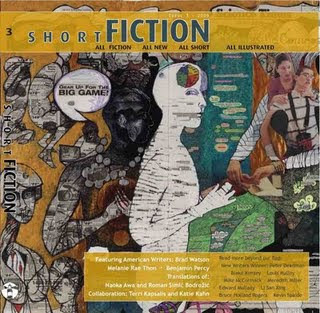 In November my story “Little Man” will be published in the British literary journal Short FICTION. I am really excited about this because I think “Little Man” is one of my best stories and also because my work will be featured with American authors Brad Watson (whose excellent story “Visitation” was in The New Yorker earlier this year) and Benjamin Percy, winner of the Whiting Award and the Plimpton Prize. I am happy to be the newbie in such a great international literary journal. You can pre-order your copy of Short FICTION Issue 3 here. Glad to see that your online presence is finally on the net. It was kinda creepy when it was otherwise.